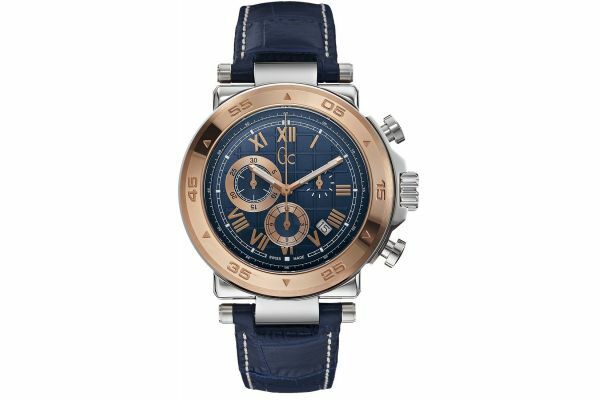 A feature large steel and rose gold mens sport watch with a striking blue dial. The strap is a thick blue leather with contrasting white stitching and a push button deployment style clasp. 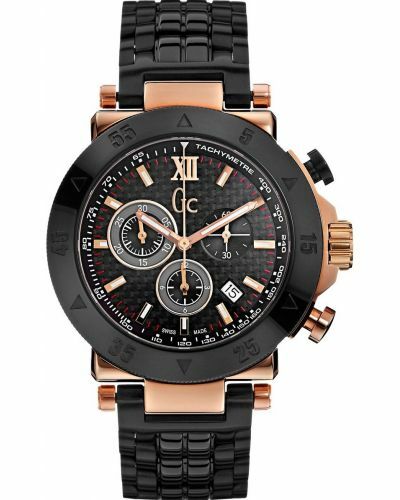 The movement is a quality swiss chronograph with a date function. 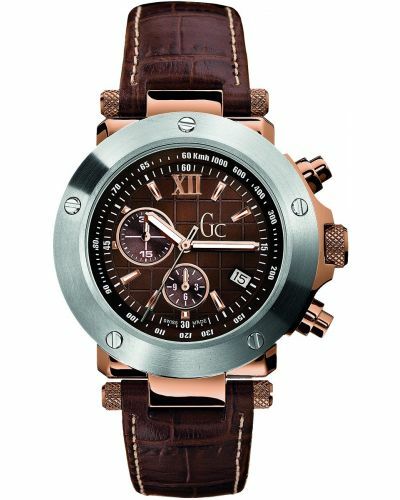 The watch comes with a GC manufacturers 2 year warranty. For us to size your new GC GC-1 watch as accurately as possible, please take a look at our downloadable Watch Sizing Guide.